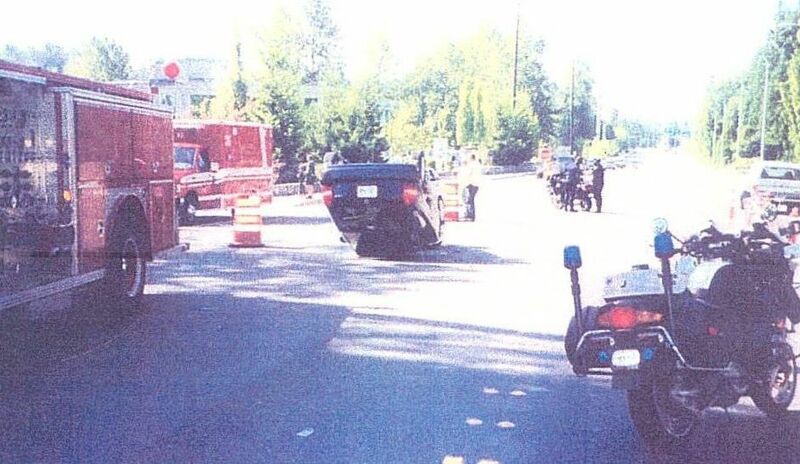 Our client, Brooke, was 24-years-old when she suffered permanent neck and back injuries in a delivery truck accident in 2002 after a truck driver made an illegal turn and side swiped her car in Bellevue, causing the vehicle to roll over before landing on its roof. Just a few months later, Brooke was again injured in a motor vehicle accident when she was rear-ended by a different driver. The injuries she suffered in the first collision were aggravated and potentially worsened as a result of the second collision, neither of which were her fault. Brooke hired attorney Chris Davis to represent her in a personal injury claim against both drivers involved in the collisions that caused her injuries. Mr. Davis argued that Brooke suffered similar, possibly identical injuries in both collisions and that the plaintiff suffered permanent injuries, accrued enormous medical costs, and suffered lost wages as a result of the collisions. The defendants argued that it was difficult to determine which collision was responsible for causing our client’s permanent neck and back injuries, and denied any liability for the collisions. Because the defendants declined to settle the case, the case eventually went to a jury trial in King County Superior Court. On the final day of trial, the driver responsible for the second collision agreed to settle her portion of the case for $50,000 and she was dismissed from the lawsuit. The jury later apportioned 96% of Brooke’s injuries to the first collision and the remaining 4% to the second collision. Brooke was awarded more than $421,000 in the jury trial. Combined with the $50,000 settlement paid by the other defendant, Mr. Davis was able to successfully recover $471,907 for Brooke and her family. Our client was sideswiped by a delivery truck driver in 2002, causing her vehicle to roll and come to rest on its roof. Defendants denied the claim, but attorney Chris Davis recovered a $471,907 jury verdict after taking the case to trial.